“Why is there blood dripping from your freezer?” My son-in-law asked, Sunday, as he came in from the garage carrying an armful of water and soda. “WHAT? !” Was my thoughtful response. Anyone who says keeping a body in a freezer is a good idea has never lived through a Texas summer with a freezer in the garage. Not that I have, or had, a body in the freezer. Just sayin’…the idea did cross my mind, but not that way..it crossed my mind in a way that would make me laugh at anyone who said it was a good idea. 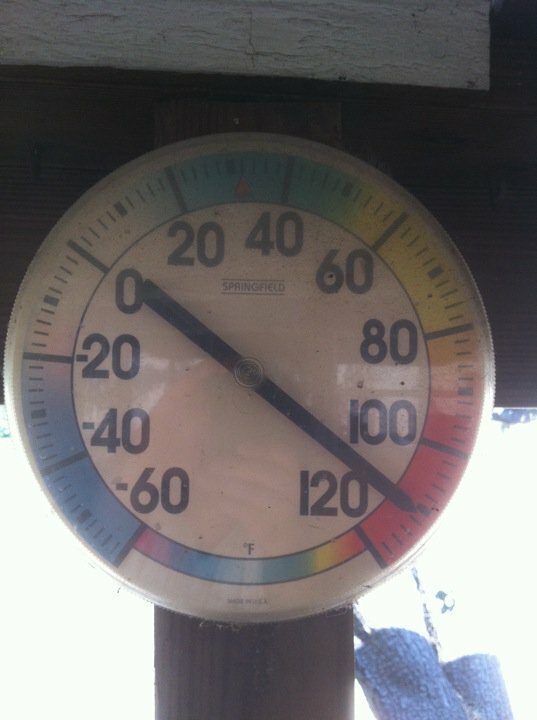 I walked out to the 200 degree garage and looked. Sure enough, not only was my one year old freezer bleeding, it also seemed to have become slightly incontinent as there was a puddle of water on the floor too. I opened the door and most things were still frozen, the one exception being some kind of gamey ground meat – wild pig or something – that had been given to us a long time ago from someone who thought it was summer sausage. Since it wasn’t summer sausage, and giving it back was just not an option, I had left it in the freezer hoping it would simply disappear into some sort of time/space portal. It didn’t. It did, however, thaw and start bleeding all down the side of the door and onto the floor. Sigh…I mourned it’s demise, but didn’t actually clean it up. Maybe I was too heartbroken, or lazy. I went inside to tell Mr. Fix-It (hubby)…really, given enough time and tools he can figure out and fix most anything – just the day before he’d taken apart, troubleshot, and repaired a $30 weedeater. My solution, to these little conundrums, is to go to the hardware store and purchase a shiny, new thingamajig to replace a broken thingamajig, but not Mr. Fix-It. Thank goodness. “Oh yeah, this happened once before. Was the red light flashing?” He asked. “Red light?” I said, dumbfounded. Hubby went out into the garage, confirmed the flashing red-light thingy and reaching around the back of the freezer, he unplugged the machine. The freezer went off, but so did the fan and other refrigerator, plugged into a completely different socket in the garage. From this, seemingly random act, I drew the only logical conclusion. Apparently, hell bent on punishing us for spend nearly $60 on PEZ the day before, the appliance and electrical gods had conspired in that moment to get even. See, that’s the trouble with the electrical/appliance gods, you just never know when a madcap PEZ-buying spree will bring down their wrath. Had I known, I’d of arranged for all this to happen in February. Now, even *I* know that if a circuit has the little “GFI” tag on it, which translates to, “now-you’ve-done-it-and-have-to-find-which-circuit-is-tripped-and-push-the-little-button-back-in”, you start the scavenger hunt for the tripped circuit. The socket the freezer had been plugged into had the GFI tag on it, but no little pushy-button thingy. All GFI outlets in the house – up and running? Check. All breakers in box – up and running? Check. Meanwhile, the freezer’s bleeding and peeing had become more noticeable. I put newspaper down and proclaimed that part of the operation complete. I considered, momentarily, drawing a chalk outline around the stains but hubby’s growing frustration made me think twice. This is what my outline would have looked like, only less anatomically correct and more freezer-ish. We had food packed into both the refrigerator and the freezer, and by now the garage was 250 degrees and rising. Hubby decided to hook extension cords to the refrigerator and freezer, run them inside to the utility room and plug them in to prevent the beer from getting warm a total loss of all the food inside. When we plugged the freezer in the red light had stopped it’s flashy-thingy, so hubby’s original hypothesis was proven correct. Monday morning I called our local, and highly trusted, master electrician. I just know, for $400 this guy is going to find a breaker we missed, flip it, and be done in fifteen minutes. Wonder if he’d consider knocking some off the bill in exchange for a nifty PEZ Batman dispenser, and two rolls of assorted fruit candies? Posted in Random Crap, Show Offs, What the flippity-flop? Wait, did I already use that title in a post…..
News flash. It’s August and it’s hot in Texas. Hot heat is hot…in Texas. See? And that’s in the shade. Where was I going with this? I forgot, because it’s HOT in TEXAS! Oh, yes…it’s really hot and did I mention it’s hot? Normally, it’s hot in the summer here, but this is Death Valley hot. No, this is surface of the sun hot. It’s so hot, several radio stations have taken to experimenting with cooking in the car. Mostly, they got gooey cookie dough and slightly congealed egg whites for their efforts. Me? I got blisters on my feet from being lazy. Maybe I should explain – see I went outside on the back (concrete) porch for a second to I don’t know..see how how hot it is?…and burned my feet in the shade. Yes, it’s so hot that the concrete will burn your feet. Even in the shade. Last week, we had a tropical storm visit. His name was Don. 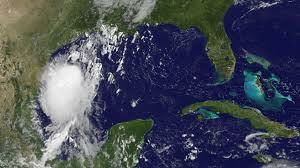 As we all prepared for the deluge, somebody shut the front door and Don dissipated over South Texas. I can’t count how many times I heard some meterolozo metrozi weatherman marvel at the fact that Don had dissipated. There was much clucking and marveling going on at the Weather Channel. It’s HOT and my brain is a puddle in my head. Would you care to meet the Wand of Doom? You keep marveling at our heat and lack of rain, and you will. Posted in Hot, Maybe I'm The Only One Who Thinks This Is Funny, Random Crap, What the flippity-flop?